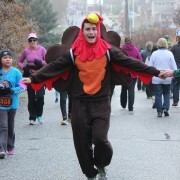 Hello, runners and walkers! Thank you for registering for this Saturday’s Columbia Valley Girls on the Run 5K and 2K! It’s going to be a momentous occasion — the first Girls on the Run event in the Wenatchee Valley and the first race ever held adjacent to the new Pybus Public Market. Pybus Market officials want to welcome all runners/walkers and their families and friends to this beautiful new facility. They encourage you to check out the market before and after the race. If you are driving to Pybus, please park in the lot directly north of the market along Worthen Street (see below for more). Girls on the Run participants, volunteers and spectators are asked to park in the parking lot just north of Pybus Public Market. Location: Pybus Public Market is located at 7 N. Worthen Street (near the corner of Worthen and Orondo streets). The Apple Capital Recreation Loop Trail, where the 5K and 2K runs/walks will be held, is located directly behind Pybus Public Market above the Columbia River. Start/finish area: Runners and walkers will begin and finish the event at a spot along the Apple Capital Recreation Loop Trail directly behind Pybus Public Market, 7 N. Worthen St. From the start, participants will head north on the trail to their turnaround spots and then back. 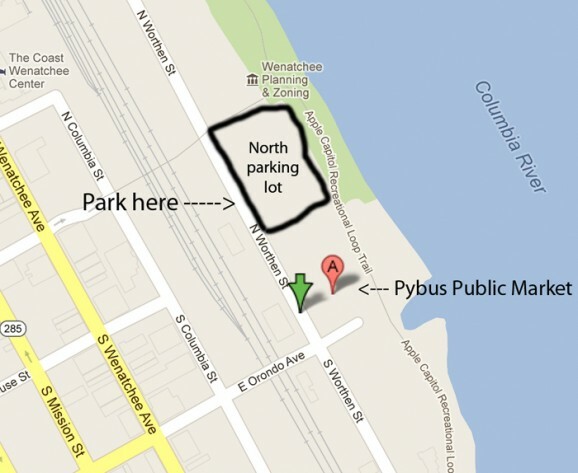 Parking: This will be just the second weekend of Pybus, so market officials expect a big crowd to visit. As a result, they are asking everyone associated with the Girls on the Run event — participants, volunteers, spectators — to park in the large lot directly north of the market off Worthen Street. We will have volunteers on Worthen Street directly vehicles into this parking lot. Road closure: With the City of Wenatchee’s approval, we will be closing River Drive, from Worthen Street to just before the boat launch entrance. This is being done to ensure a safe race. Packet pickup/registration: This will be held from 5 to 6:30 p.m. Friday and from 7:30 to 8:50 a.m. Saturday at tables set up inside Pybus Public Market. If you are a member of a Girls on the Run team, look for your individual table. The same goes for community members who have signed up. Raffle: Girls on the Run will be raffling off a Garmin Forerunner 210 (with heart-rate monitor and strap) on Saturday after the race. The Garmin is valued at $250. Raffle tickets are $1 each and can be picked up at the Columbia Valley Community Health table at Pybus on Friday evening and Saturday morning. T-shirts: If you forgot to order a shirt or want one anyway, we will have a limited number of shirts on sale Friday evening and Saturday morning during packet pickup/registration. They will be on sale for $12. If you paid for a shirt while registering, you can pick up your shirt at the same times. 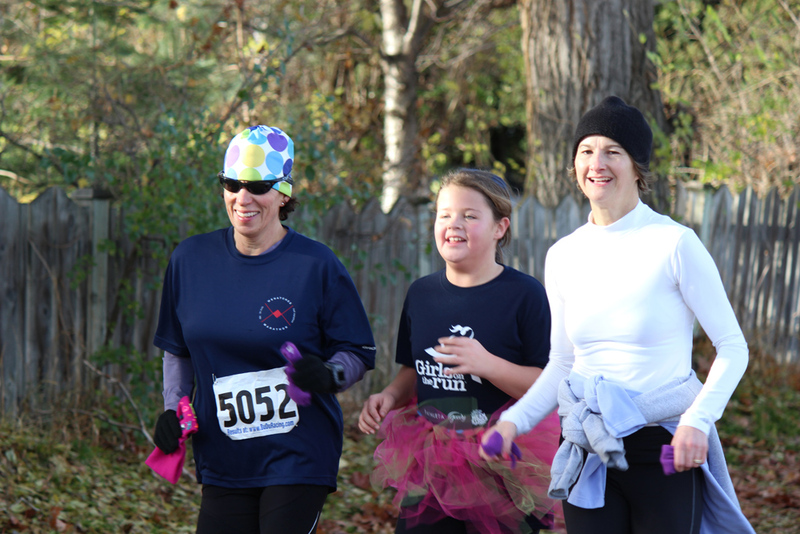 Timing: Buduracing is the official timer for the Columbia Valley Girls on the Run 5K and 2K. Timing mats at the start/finish area will be used to record your time. Aid stations: We will have two fully stocked and staffed aid stations on the course — one at the 2K turnaround and the other at the 5K turnaround. Big thanks to our volunteers for making this happen. Refreshments/food: We will have nourishment for runners and walkers to replenish themselves at the finish area. Thanks again and have a great race!